After a strong start in the first two months of the year, base metals prices have weakened recently in expectation of U.S. interest rate increase this month, which would drive up the US dollar. Speculations that China will cut aluminium and alumina production in several provinces to cope with air pollution were behind the 12% boost aluminium prices enjoyed in January and February. The aluminium price has been moving around a 21-month high in February and early March, surpassing US$ 1900/tonne. However, when the Chinese government officially announced that the anti-pollution measures were scheduled for next winter upward pressures on the aluminium price subsided. On February 17th, the Chinese Ministry of Environmental Protection (MEP) ordered aluminium industry producers to temporarily close 30% of aluminium smelting and 50% of alumina refining capacity in provinces Shandong, Shanxi, Hebei and Henan between November 2017 and March 2018. Uncertainties are swirling over what exactly will happen and just how decisive China’s government will be in implementing those measures. 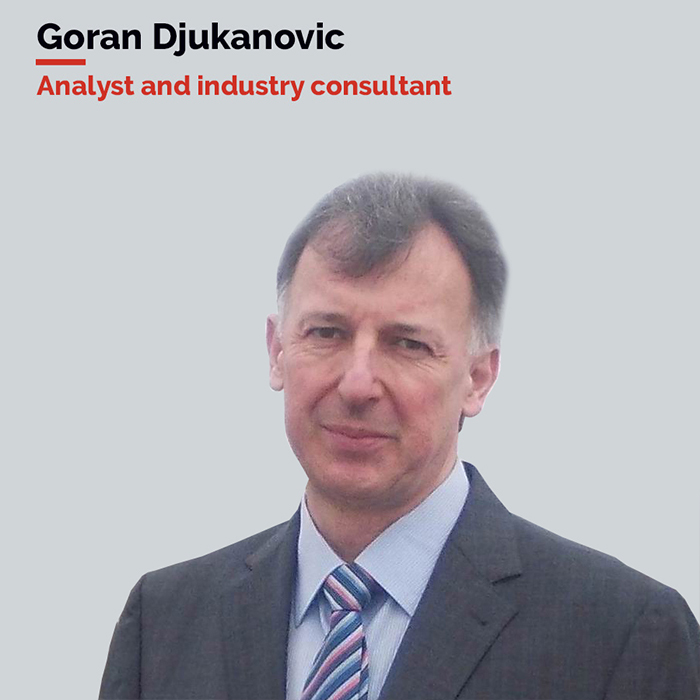 That is the reason why most analysts expect the aluminium price to ease in the second and third quarter, before rebounding again in the final quarter. Still, most analysts do not expect significant production cuts in China, and neither do they forecast substantial price growths. Based on previous cases when the government pledged to reduce aluminium production or investments in aluminium industry, many analysts are sceptic that this time China will actually be strict in the implementation of proposed measures. ANZ bank, for instance, predicts an average price of about US$1,650 to $1,660 / tonne in the second half of 2017, and Citigroup estimates a similar US$1,650 to US$1,700 / tonne. Citigroup says production cuts are “very far from certain,” and that the greater likelihood is that China will pare unused capacity. 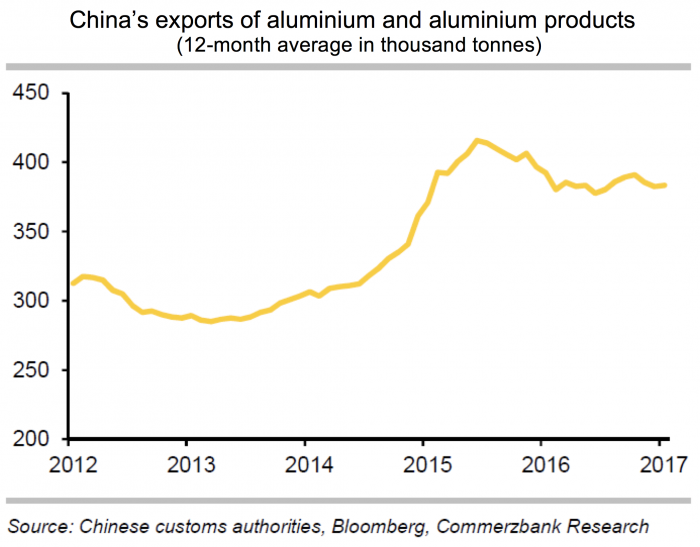 The four provinces targeted by the ban produced 12Mt of aluminium in 2016, 38% of China’s total output, and 21% of global production, according to CRU. The alumina production impact from these measures will be even higher than on aluminium, as these provinces produce around 75% of China’s total alumina production (around 65 Mt in 2017). China’s aluminium production increased to 2.84 million tones (Mt) in February (28 working days), up 21.1 % year-on-year, reported SMM. During the first two months output totalled 5.88 Mt, up 21.6 % year-on-year. This means that China’s aluminium operational capacities approached 37 Mt, up nearly 7 Mt year-on-year. 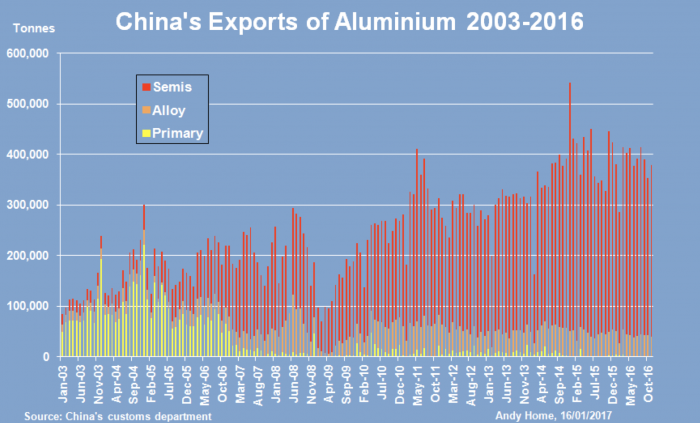 During February, China’s aluminium operational capacities grew by around 1 Mt. SMM expects the operational capacities in China to grow further in March, and aluminium output to increase to 3.16 Mt in March, up 17.9 % year-on-year. Some 4 Mt of new smelting capacity is planned to start production in China in this year, in addition to some 0.5-1 Mt expected to be restarted from existing capacity. However, smelters may work to secure some alumina supplies/reserves before the winter, while new smelting capacities may delay start up or just delay ramping up production when started. According to financial reports by major listed aluminium companies, net profits at the five major producers surged in 2016 on a yearly basis. SMM reported the average profit at domestic aluminium producers was 1,000 yuan per tonne in 2016, peaking around 2,500 yuan per tonne. At present, the average profit is about 450 yuan per tonne. It could be concluded then that aluminium production restarts will continue in this year. Last year, primary aluminium-production facilities in China operated at a utilization rate of 77%, according to Citigroup. China exported significantly less aluminium (mostly semi-products) in February, 260,000 tonnes according to the customs data. This was 7% lower year-on-year, and the lowest monthly export quantity in three years. Exports in January amounted 390,000 tonnes. This resulted in surging aluminium inventories to over 900,000 tonnes in February in five main warehouses, compared to the record low of 216,000 tonnes in September 2016. 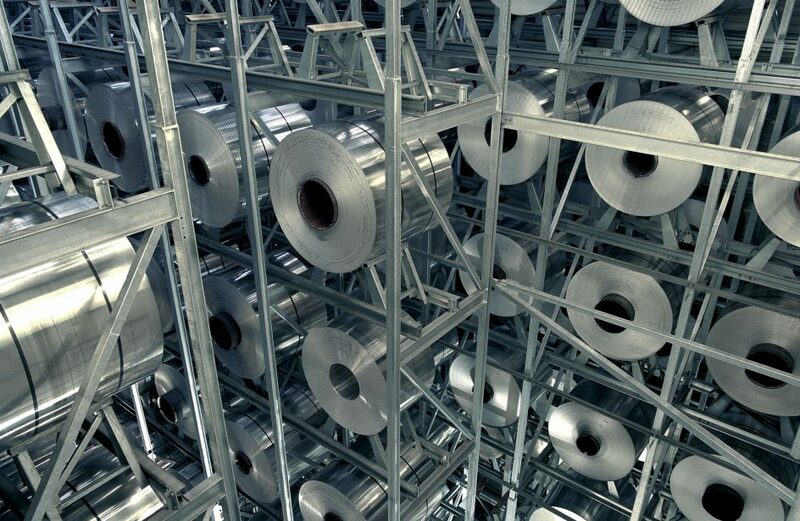 In the medium and long term, big increases in China’s aluminium output are expected, up 11.6 % in this year compared to 2016, which will continue flowing to market inventories and will keep high aluminium exports, in the same time weighing down the price as well, SMM stated. All in all, China will experience substantial aluminium production surplus this year and projections vary from 2.1 Mt to 3 Mt. The scale and intensity of announced production cuts not just in aluminium, but also alumina, petrol coke and coal (among other industries, steel and other base metals) could result in a “chain reaction” and a chaotic and unplanned production reduction and even plant closures in these industries. For instance, a smelter already on the list to reduce production may experience additional production disruptions due to alumina, petrol coke and anodes shortfalls or even power outages from coal-fired thermal power plants. Those hurdles could be impossible for smelters to overcome. “There’s a large number of anode plants in the target area and we estimate the direct impact will be a loss of three million tonnes of (annual) aluminium capacity due simply to smelters’ inability to source anodes for the production process,” estimated Paul Adkins. In other words, this could have a bigger impact on national aluminium production than the headline smelter curtailments. These conditions may trigger not just a sudden and substantial increase of the aluminium price, but also power prices, alumina, anodes and other raw material prices too. Finally, it will be difficult to any of these industries to invest in maintenance, not to mention capacity expansions and other investments in equipment, knowing that they would have to comply to production reductions in November. Restarting production after four months would require additional costs and higher costs in the overall smelters cost curve. What’s more, temporary unemployment and plummeting income levels for dozens of local businesses and smaller firms is also expected. The bottom line is that the strict implementation of the anti pollution measures would be a very risky move with lot of uncertainties and possibly very expensive outcomes. 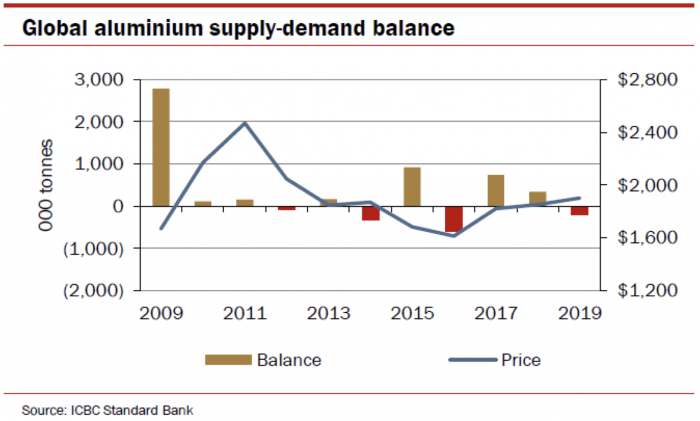 Secondly, the expectation of production cuts and rising prices with some other producers, in other provinces, may restart curtailed production and partially or even completely compensate lost production in the three provinces, so the aluminium price growth may not last for a long. 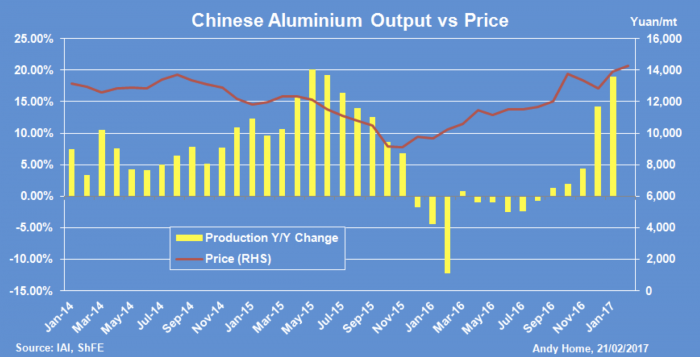 Without production cuts in China the production side would win over demand once again, and the aluminium price would come under increased pressure. Effects from production cuts will be more visible in 2018, while in 2017 the market will remain in surplus despite cuts. According to current market conditions, only removing at least 2.5-3 Mt annually would result in higher prices. China’s planned production cuts are of key importance for aluminium prices this year, even if temporary and concentrated on the last few months of 2017.